When to hire a Lactation Consultant? An International Board Certified Lactation Consultant or IBCLC has pass a rigorous test set by the International Board of Lactation Consultant Examiners. To be eligible to take sit the exam each candidate must complete hundreds of clinical hours as well as attend an accredited course in human lactation education. Lactation Consultants adhere to the IBCLE's Professional Standards. Why hire a Lactation Consultant? Breastfeeding should be enjoyable however many women struggle with breastfeeding, especially during the first weeks. With support, education and time most issues can be overcome, and breastfeeding can be a satisfying, experience for both mother and baby. After your baby is born you may have questions about breastfeeding and feel that you would like the one on one attention a lactation consult offers. A consultation generally last about 1 1/2 - 2 hours, sometimes longer for more complex issues. I will take a general health, birth and medical history. By doing a pre and post-feed weight with a specialized, highly accurate pediatric scale I am able to calculate how much milk your baby is getting at the breast at the appointment as well as assess your baby’s growth. 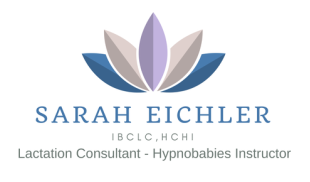 At the consultation I will observe a full feeding and we will spend time working on how each baby attaches to the breast while experimenting with positioning to insure that you are both comfortable. After a full assessment and with plenty of time to answer all of your questions, together we will devise a plan that feels workable for you. Before I leave we will have time to answer all your breastfeeding questions, write an individual care plan, which a copy will be sent to your baby's pediatrician. A superbill with insurance codes will be given to you so you may apply for reimbursement from your insurance company. I don't participate in any specific plan due to the nature of the profession. Payment is due at the time of the consultation. As an added service to the moms i help breastfeed, i include follow up phone calls and emails in the initial consultation fee. This way you have my guidance through out your breastfeeding time. Follow up in home consultation is available at a reduced rate. Some moms like to move around and leave their home.